As crypto-currency is hitting high rates, its becoming prior target for cyber crooks. Today, a web based wallet for the Stellar Lumen cryptocurrency (XLM), BlackWallet.co , DNS server had been hacked by unknown hackers and redirected users to the attackers own server. This incidence had been took placed on Saturday afternoon, and it was found that hackers have stolen over $400,000 worth of XLM from users accounts. After BlackWallet team know about the hack incidence they started warning users about the hack via alerts on Reddit, Twitter, GitHub, the Stellar Community and GalacticTalk forums, but it was quite late. Users still logging to the hackers server and giving all there accounts credentials. Before users get the news about the hack, all there wallet balance were vanished from there accounts. Now its being reported that hackers have started moving all the stolen coins to Bittrex accounts. Bittrex is one of the leading and popular digital currency exchange, where users can exchange the coins into different others coins for trading. At the mean time BlackWallet admins are trying to contact the Bittrex team, to takedown or hold the attackers account to stops further transaction. On the statement BlackWallet team have said that hackers have gained accessed to the BlackWallet hosting provider accounts. 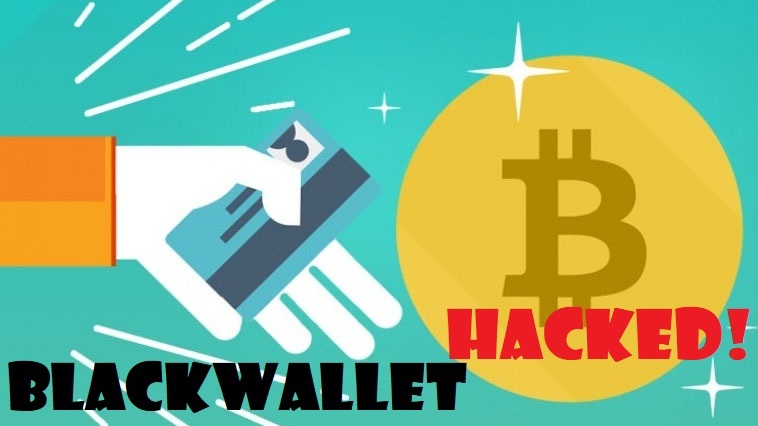 "I am in talks with my hosting provider to get as much information about the hacker and will see what can be done with it," - said BlackWallet Team. "If you ever entered your key on blackwallet, you may want to move your funds to a new wallet using the stellar account viewer," he added. "Please note however that blackwallet was only an account viewer and that no keys were stored on the server!" This is not the first case that hackers had stolen digital wallets by hacking DNS, last year EtherDelta had also suffered from the same type of attacks. Moreover, BlackWallet had been breached twice earlier, but till yet we didn't know the amount of the lose that it suffered.